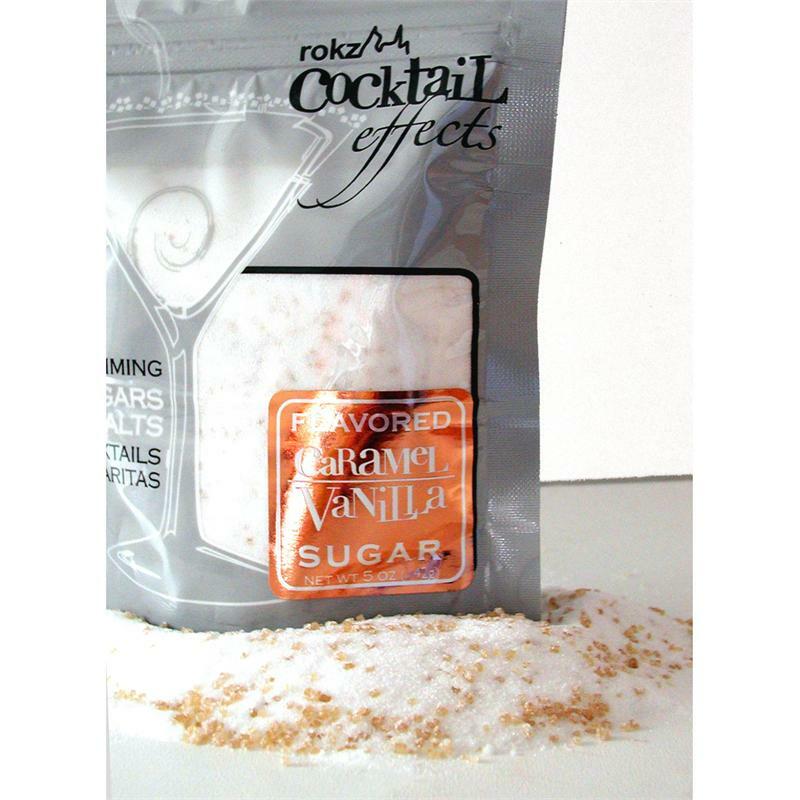 A blend of gourmet sugars flavored with caramel and vanilla. 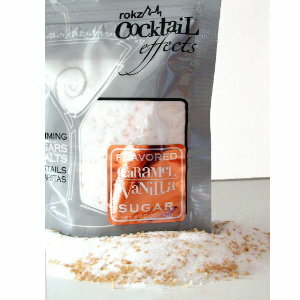 What better way to finish off coffee, hot chocolate, eggnog -- or even an apple martini! 5 oz resealable metallic package. 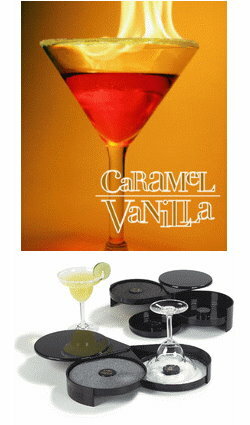 To use: Place about 3 tablespoons of Caramel Vanilla Sugar on the tray of your glass rimmer. Dip the rim of the glass into the pre-moistened sponge (moisten with "Simple Syrup") then dip the moistened rim into the sugar and rotate the glass until evenly coated.